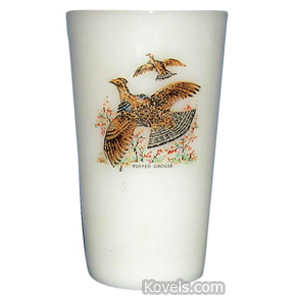 Decorated tumblers have been made by Anchor Hocking, Federal, Hazel Atlas, Libbey, and other companies since the 1930s, when the pyroglaze process of printing was introduced. 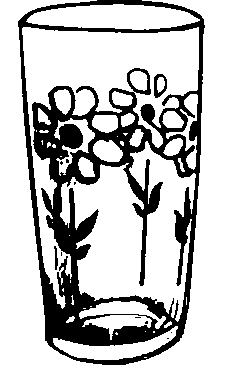 The barware and other glasses feature drinking jokes, characters, or decorative geometric patterns. Many of the decorated tumblers have pictures of actors and fictional characters. Swankyswigs are listed in their own category. 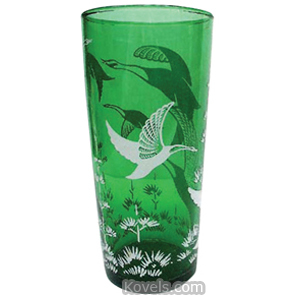 Decorated tumblers may also be listed in Advertising, Coca-Cola, Pepsi-Cola, and many other categories.